SEO (search engine optimisation) copywriting is nearly the only way in which one, otherwise well-constructed, clean-coded, design-optimised website can achieve a performance advantage over another similar site. I say ‘nearly’ the only way because SEO as a discipline is focused around getting found. Once the visitor has arrived at your site attention needs to transfer to how they then react. There’s no point getting the horse to water unless you can convince it to drink. What is commonly referred to as SEO copywriting is in reality part search, part selling. The SEO copywriting process is driven by two questions: what will improve the chances of my target audience finding this and, once here, what exactly do I want them to do? Incidentally, the answer to the first question is why the word ‘copy-writer’ is spelled as it is throughout this website. 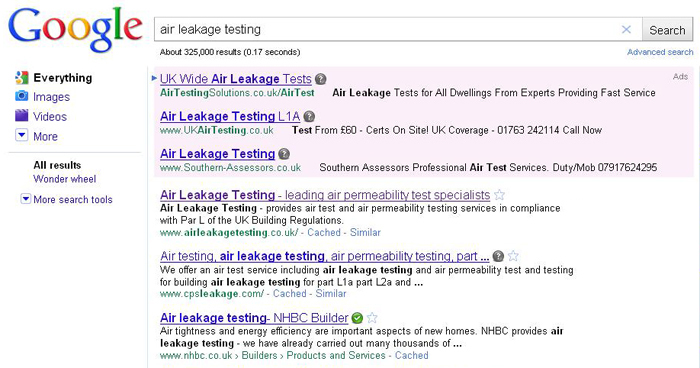 SEO copywriting example: I recently worked with a local building services company, editing their existing website content and supplementing it with additional keyword-optimised copy. Granted, when SEO copywriting it helps when your company name also encapsulates what you do. 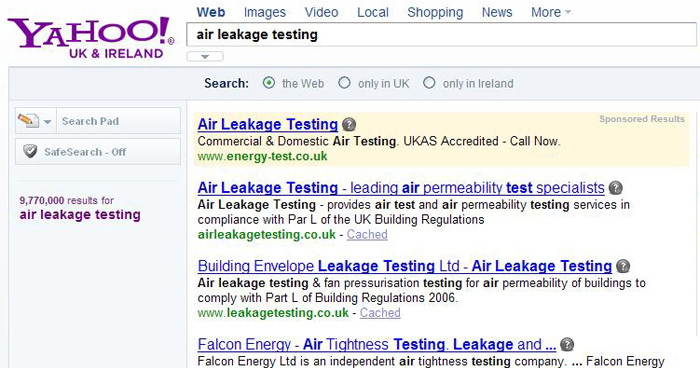 In the case of Air Leakage Testing however, subsequently getting to the top of both Google and Yahoo rankings was achieved despite the superior spending power of several large competitors. Andy Sivell is really straight-forward to work with and knows exactly what he’s doing. He cut and reshaped our original copy in a way that both brought it to life and made it easier to read. Other whole sections he re-wrote from scratch, afterwards explaining what he’d done and why. His logic was always impeccable, while the results speak for themselves. I’d recommend him to anyone.